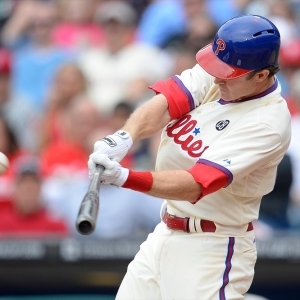 The Arizona Diamondbacks head to Citizens Bank Park on Friday to take on the Philadelphia Phillies. The probable starters are Chase Anderson for the Diamondbacks and Chad Billingsley for the Phillies. The opening line has Arizona at -124 and Philadelphia at +114. The over/under for this matchup is 8.5. So far this season Arizona is 18-13 against the over/under while the Phillies are 16-13. The Diamondbacks come into this game with a 15-18 record, including 6-6 on the road. Chase Anderson has a 0-1 record and an earned run average of 2.97. He's given up 31 hits in 36.1 innings pitched so far and Arizona is currently averaging 2.5 runs in his starts. As a team, they are batting .269, good for 4th in the league. They also rank 6th in the league in on base percentage at .329 with Paul Goldschmidt leading the way at .451. The Phillies overall record is 12-23 and they are 8-10 at home. Chad Billingsley is currently 0-2 with an ERA of 9.00. He's pitched 10 innings thus far and given up 16 hits. Philadelphia has averaged 2 runs in his starts this year. The Phillies are 23rd in the league in team ERA at 4.32 and 26th in the league in hits allowed per 9 innings at 9.36. They come into this game batting .229 as a team with an OBP of .283, good for 30th in the league.